We have a special treat for you today - three authors, two dukes and a scandal! Please welcome Avon Books authors Laura Lee Guhrke, Caroline Linden and Gayle Callen! Gayle Callen began writing at the age of 13 and fell in love with romance a few years later when she borrowed a friend's copy of SHANNA by Kathleen Woodiwiss. After college, marriage and children, she decided to try her hand at writing historical romance and sold her first book to Avon in 1998. Since then, she's published twenty-one novels. Gayle has also written medievals under the name of Julia Latham and currently writes contemporary romance as Emma Cane, with her latest contemporary, A PROMISE AT BLUEBELL HILL coming out in March of this year. Find more information about Gayle at her website and connect with her online at Facebook and Twitter. 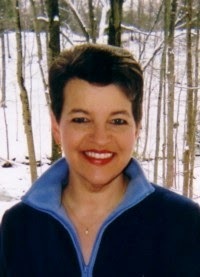 Laura Lee Guhrke had successful careers in advertising and construction management before trying her hand at writing. The author of more than twenty historical romances is a New York Times and USA Today bestselling author and has also won the Romance Writers of America RITA® Award. Discover more information about Laura Lee and her books at her website and connect with her online at Facebook and Twitter. 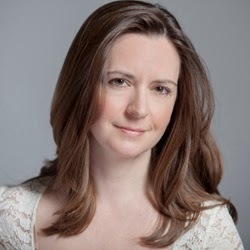 While Caroline Linden has always been a reader, she graduated from Harvard with a math degree and wrote computer code before deciding that writing was a lot more fun. She now has fourteen published books and has won multiple awards including RWA's RITA®. Her novella, I Love the Earl was the first digital-first publication to be awarded the RITA®. Find more information about Caroline and her books at her website and connect with her online at Facebook and Twitter. PJ: Welcome, ladies! Thank you for taking the time to answer our questions today. Congratulations to each of you on your new release. Please share with our readers what they can expect from each of your books. LLG: How to Lose a Duke in Ten Days is the story of a marriage of convenience between Edie, a ruined American heiress, and Stuart, the broke and indebted Duke of Margrave. Their marriage of convenience worked in the past, but after a brush with death, Stuart decides it’s time to change the status quo and make a real marriage with his wife. Edie had very specific reasons for wanting the marriage of convenience, reasons based on a traumatic event in her past, reasons the hero doesn’t know until he returns to try and make their marriage work. It’s a story of two wounded souls and how love brings them together and heals them both. It’s not a dark book by any means, though it’s not the fluffy book some readers might expect from the title. Gayle: REDEMPTION OF THE DUKE is the third book of my “Brides of Redemption” trilogy—but you don’t need to read the books in any order. All you need to know is that, in the past, something went wrong for three soldiers at war, and when they return to England, they want to help the families of their fellow soldiers who died. The tag line for the newest book is “A duke who needs to be tamed; a lady who refuses to be rescued.” Adam is determined to help Faith, who had to go into service as a lady’s companion when her brother died. She doesn’t want to be beholden to another man again, but he doesn’t give her a choice, and manipulates each situation to his benefit. He thinks he’s been redeemed, but she’s going to show him otherwise. 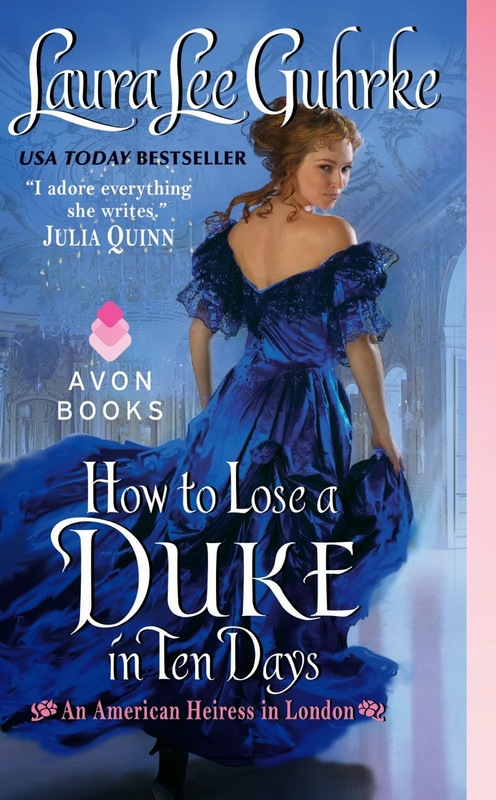 PJ: Your books are part of Avon Romance’s “Two Dukes and a Scandal” campaign. As authors, what do you enjoy most about creating dukes and/or scandals in your stories? What do you find most challenging in creating the same? Why do you think dukes are so popular with readers? Caroline: My book has scandals a-plenty, which I really like using, as an author. A scandal means someone has broken the rules in some way, and it's caused an upheaval in their world. Dealing with the fallout from a scandal always forces a character out of her/her comfort zone, makes them confront their deeper beliefs and feelings, and gives them a chance to start again—not always fresh and new, but it generally reboots their life. Of course, since I write fiction, it always turns out for the better! Gayle: Dukes are at the top of the aristocracy, and there’s just something about a man who wields all that power. And, of course, when such an independent man falls in love, we get to see how it shakes his very world. A duke believes he’s in control of everything, and when he finds out his heart has a will of its own, of course a duke resists! But a powerful man can bring his own all-encompassing focus to romance and passion when he finally gives in. That’s why readers love dukes. I think the challenge, as always, is to create a real-life man, to make readers see his flaws, and also the promise of the future, to make him different than the other dukes the reader has read about. LLG: Dukes are always fun. They’re at the top of the tree, without all the inconvenient political considerations of princes. As for scandals, well, who doesn’t like a juicy scandal in romance? C’mon, it’s one of the best ways for the hero and heroine’s worlds to collide. PJ: Hellie is reviewing all three of your books for us here at The Romance Dish. (I think she’s setting speed records for reading and we’ve been hearing lots of raves and “you must buy this” from her.) She has a couple questions for each of you. Hellie: Caroline, I can’t wait until Abby’s little sister gets a man. She and the son of the earl have a real Pride & Prejudice thing going on in the book. I wondered if there’s something there? Do you have plans for her? Caroline: How funny you mention Pride & Prejudice; I was describing Penelope, Abby's sister, to a friend as part Emma Woodhouse, part Marianne Dashwood. She's an all-Austen kind of girl, I guess. I'm so glad you want to see more of her; Penelope has been one of my favorite characters from the beginning. I absolutely do have plans for her—I am writing her book now. And yes, there is definitely something afoot with Benedict, the earl's son. Penelope hates him…the real question is why? Hellie, I love to write in trilogies, I have since the beginning—except for the contemporary romance Valentine Valley series I’m writing as Emma Cane. There’re four books and counting in that series. So yes, I already have a new historical trilogy planned—set in Scotland. I’m very excited, since it’s a whole new world of research for me. The new title is THE WRONG BRIDE: Book 1 in the Highland Wedding series, coming out in the summer of 2015. Can’t go into more detail, because I haven’t started the book yet! I have to be Emma Cane for a while longer. I’m so glad you enjoyed Frances. I have a list of secondary characters I’d love to write some day…but no plans so far. Hellie: Laura Lee, will there be any more books in this series? Joanna would be a fine heroine for an upcoming book but I’m having trouble imagining the guy who could keep up with her. Any information you’re able to share? LLG: I have two more books definitely in works for this series, making a total of 4. The next is Catch a Falling Heiress, which is Jack’s story. It’s about what happens when he accidently/on purpose ruins an American heiress’s reputation. He tries to be chivalrous about it afterward and do the right thing, but his attempt to be noble doesn’t go over so well with his ruined heiress, Linnet, who just wants him to go away and stop wrecking her life. When doing the honorable thing doesn’t win her over, Jack decides enough of being honorable. It’s time to seduce his heroine to the altar. After that, I’ll be doing a story for Stuart’s other friend, Denys. It’s not titled yet, but his heroine is the infamous Lola, the dancer mentioned in (I think) all three previous books of the series. Some readers have also asked about James (nickname: Pongo), and I’m toying with the idea of a story for him. As for Edie’s sister, Joanna, she would make a great heroine! I’d have to set the book later, though, since she’s only 15 during Edie’s story, which would mean putting that book into the Edwardian era. I’m not sure Avon wants me doing Edwardian again for a while because it’s not as popular as Victorian. But we’ll see. Hellie: Laura Lee, you have quite a niche in your turn-of-the-century books. What books/sources have you found particularly useful for research of this era? Also, do you have plans for any car driving heroines? LLG: As far as research goes, I find the books of Lisa Picard and Judith Flanders particularly helpful. Also, novels and plays of the mid-to-late late 19th and early 20th centuries are great for picking up the social nuances (Gaskell, Wharton, Hardy, Trollope, Wilde, etc.) And I suppose I am one of the few authors writing late-Victorian, although I don’t think Regency readers would be disappointed by reading my books. All sorts of fun romantic situations are possible in both eras. As for car-driving heroines, I did that! In my Abandoned at the Altar series (Wedding of the Season, Scandal of the Year, and Trouble at the Wedding) all of my heroines drive automobiles. It was great fun to write! PJ: Let’s turn the focus on the authors for a moment. Please tell us something readers would be surprised to learn about you. Gayle: I majored in aerospace engineering in college for three years. ;) But all of my electives were in English and creative writing, and I gradually realized I liked writing better. I’d rather write a book on deadline than design a new piece of technology. LLG: I’m not at all romantic or sentimental in real life. My husband is much more romantic than I am. I guess I put all my romantic sentiment in my books! Caroline: I like to sew! Followers of my Facebook page have seen some of the costumes I've made my children, especially the Civil War-era gown for my daughter, but I also made the dress on the cover of AT THE DUKE'S WEDDING, the anthology I wrote with Maya Rodale, Miranda Neville, and Katharine Ashe. We all wanted something very accurately Regency, which is hard to find in stock images, so I made it. PJ: Will you be attending any conferences or book signings this spring and summer where readers will have the opportunity to meet you? LLG: I’m not going anywhere this year, unfortunately. I have WAY too much writing to do. Gayle: And I’m with Laurie on that this year. Caroline: I'll be signing books at The Book Shack (at the Silver City Galleria) in Taunton MA on May 10 at 1 PM. I will also be at the huge literacy signing during the annual RWA conference on July 23 in San Antonio TX, Marriott Rivercenter, from 5:30-7:30. I love meeting readers. PJ: What’s next for each of you? Caroline: I have a novella in progress (in case anyone wonders what happens to Samantha) and of course Penelope's story, which will come out next spring. No title yet for either of those! And it isn't really new, but my very first book will be re-issued next spring as well. It's been out of print for a long time so I'm glad to have it available again. LLG: I’m working on the third book of my current series: An American Heiress in London. CATCH A FALLING HEIRESS will be out in February. Gayle: As I mentioned above, I’m starting a new Scottish trilogy, and the first book, THE WRONG BRIDE, will be out in the summer of 2015. But I also have the fifth Emma Cane book, SLEIGH BELLS IN VALENTINE VALLEY coming out this November. PJ: Thank you so much for visiting with us today. Would you like to ask our readers a question? LLG: I’d like to know what readers think of dukes, scandals, and marriages of convenience? I always want to hear what readers have to say. Caroline: How do you read series—as they come, eagerly awaiting the next, or do you wait until the series is complete and then read them in a row? Gayle: Wow, those are good questions. I think I’m going to sit back and enjoy the answers! PJ, thanks so much for the great interview! You're welcome, Gayle! I appreciate all of you taking time from your busy schedules to answer my questions. Ladies, Thanks for sharing! I like learning about you and background about your stories. I enjoy marriage of convenience as a theme. There are so many reasons for going into a marriage of convenience: to escape a bad situation or get away from your family's arranged marriage or from an evil person, to obtain an inheritance money or child(ren), if you need money to pay for an operation or to keep your family together,, you have no way to support yourself... It fits in all time periods. It's entertaining to see the progression from necessity, to want and eventually to love. It's my favorite theme. Titled aristocracy and scandals go hand in hand.They make interesting rogues and scoundrels! They have total disregard for the rules and conventions of the times and they get away with it. Charmers! Dukes are the ultimate goal for young women in the husband search game! As royalty is beyond most commoners reach. Series- I read them as they come out. I only require that they stand alone so that if you do get behind, you can read them out of order. I also appreciate when they aren't repetitious. Hi Laurie! I also enjoy marriage of convenience. It's one of my favorites and, as you noted, it works in any time period. I love marriage of convenience books. Dukes are great, however, I'm not at all prejudiced against earls, barons, viscounts, or even just plain gentlemen. Love each and every one of these ladies. Have read several of their books, have more on my ever-growing TBR shelves and always looking to add to the collection. One can never have too many books to read! Oh my gosh, all of these books look so inviting with their gorgeous covers, and all sound exciting. I love reading about these titled nobles, and always imagine that if I'd been alive during that time period, that I might have snagged one for myself. I really appreciate all the time and effort these authors put in to make their books so very readable. Congratulations to all three authors on their new books! Dukes, scandals and marriages of convenience are all types of stories that I have enjoyed in the past. Dukes are powerful people and that always adds something to the story. Scandals are intriguing because of how something small could cause such problems to characters in a historical romance and marriages of convenience are always a favorite of mine. I enjoy seeing a couple fall in love with each other when they are already married to each other. Although perhaps I can see the Victorian era more popular than the Edwardian one...I would love to read about Joanna. She's so...Anna of Green Gables meets Loki. She's hilarious. But I get the settings and some historical settings are a harder sell than others, though with the right characters, I'll read any era. I'm not overly fond of Dukes because there was like 8 and they were all old in the Regency era...so sometimes it's hard to suspend that for the fantasy of dukes all over the place and they're all HOT! But I'm good with hot earls and marquesses. A Baron is always good. But yes, I get that dukes are the Disney Princes of Literature. We all want one. As for the other, I always enjoy a scandal and a marriage of convenience. Always, always, always. As for series, if I read something out of order and don't know it--but really loved the book, I'll go back and read the whole series. I prefer to read series in order; but I don't prefer to wait until they're all done either--even though I regret it later. *LOL* I love reading too much to wait. I hate waiting for books too, Hellie though it's better than waiting until the entire series is published. I've tried that. A resounding failure! lol! MOC is my favorite theme. It works in any time period and keeps the focus on the couple at all times. Have read books by all three of you ladies. Congrats on the new releases! What do readers think of dukes, scandals, and marriages of convenience? They're all potentially good plot hooks. A true scandal probably would be the most interesting, but I'd read them all! How do you read series? I generally read first whichever book in a series catches my eye. This is true whether it's romance or my other go-to reading choice, mystery/suspense. Then, if i enjoy that book, I go back and read earlier books. If an author is an auto-read, I get new books as they come out (no extra waiting. Thanks for visiting, ladies. Good luck with your books and tour. Congratulations on the new releases. Dukes make the best heroes. Must be their money couples with arrogance. I love when there is a marriage of convenience and all the things they go through for love.And you can't beat having a duke around. and series can make you crazy waiting for the next book but I do love them. I love that some of my favorite authors have begun writing novellas as a stop-gap between books in a series. Makes the wait seem not quite so long. I love all your guests and I did meet Laura a couple of years ago at my local book shop [she was signing books with Julie Anne Long] and the evening was too much fun [although I did end up tripping that night & ended up with a back pain from hell, but that's another story]. I'm a huge fan of all you awesome women and really hope to see you in person one of these days...any plans to come to Chicago next year [since all y'all are so busy writing right now]? Yes, I saw the review--thank you so much! It was just lovely. And the fact that you take the time to put a review on Goodreads and Amazon? I can't tell you how much an author appreciates this. If anyone would ever like to thank an author for a great book, putting a review up where you bought it or on Goodreads is just the best. As for Gabaldon, oh yes, I am awaiting the new book with such excitement!! Hi Mel! Thanks for stopping by! I have appointments all day tomorrow but I'll try to pop in to say hello at b2b. Looking forward to the new Scottish trilogy, my favorite setting. Thanks, Jan! I'm so invigorated to dive into Scotland! I love anything set in Scotland, dukes, scandals and marriages of convenience!!! As to series, I use to always read them in order and many times I would wait for them all to be out but I've changed. For one thing some series take forever and you don't always know how many books. Too many books were just sitting in my tbr pile so I now read out of order and it's not as horrible as I thought lol. Eventually, If I like the story, I usually end up getting all the books. It also saves me from buying a lot of books and finding out I really didn't want them all lol. Thanks for such a fun interview! Ummm... I love tropes... the more convoluted and twisty the better!!! I love to see how and why an author will "go there" :) I also love series cuz I'm a glutton for characters and worlds that I enjoy. I prefer to have more! and be able to sit and glom them all but if I'm just starting an new series, I can be patient and read them as they are released. I will read the first book in a series, if it is the only one out. If it is more than a month till the next one comes out, I usually do a reread. If all of the books are out, I try to read them in order, one after the other. I like books about Dukes & scandal, and the arranged marriage trope usually leads to some interesting stories. I love seeing them get to the HEA. Thanks for the interviews ladies and I love all the covers! Thanks for a wonderful interview! I loved it and learned a lot. I learned something new too, Quilt Lady! A great feature today and wonderful books. Best wishes. Thanks for stopping by, traveler. Thanks for this informative interview. Books look so captivating. Laura Lee, I love stories about dukes, scandals, and marriage of convenience as long as they have their HEA. Caroline, if I read the first book in a series, I eagerly await the others and get them as they come out. If I find out about the series by buying a book that isn't the first one in the series, I will read it, and then buy the others in the series. I usually try to get all the books in a series before reading them. (That is not easy when the series ends up being really long...as I still haven't read any of the Virgin River series.) But sometimes I just can't wait and read them as they come. I do like to have at least two books in a series to read together. Sorry the contest won't work for you, Marcy, but thanks so much for buying our books! Thanks for wonderful interviews. You are all so talented and successful, even before starting your writing careers. Caroline, I always try to read a series in order. If it is to be a short series, 3 or 4 books, I wait until I have them all before I start reading. It keeps both the characters and the continuity of the storyline fresh. LLG, There is the power of position that being a Duke has which is attractive to many women. Men in such positions often generate scandals. Whether or not the character is a duke, a good scandal can add some spice and story options. The marriage of convenience plot line has always been a favorite. There are so many directions it can take a story. It looks like I have some reading to catch up on and some good books to look forward to. Best of luck to all of you. Such a great interview with all three authors!!! I love series and usually wait until a couple of the books are out to start reading.. Oh I'll buy them and save them ! And I keep them so I can re=read the earlier ones. Great interview ladies, and how interesting, Caroline, that you made the dress for your book cover. So many books in the pile I'm still catching up some of your latest series. Though, I just finished It Takes a Scandal, really loving this series, Caroline, and especially loved Joan and Tristan as a couple in Love and Other Scandals, and wish I could continue on right now with Penelope's story,lol. I do prefer to read series in order, especially if there is an ongoing series plot, or secondary characters have more than a cameo appearance giving a bit more insight to those characters before their story comes along. Once I catch up on a series for a favorite author, will read the next as soon as it comes. If I'm behind with the huge TBR pile, I'll read all back to back, then wait impatiently for the next one. Marriage of convenience, or second chance at love, has always been one of my favorite themes. Sure I love the Dukes, but also all the other titles and commoners; it's the character chemistry that makes the difference for me more than title or station, or even plot or scandal. This is a great group of authors you have here!! Though I'm waaaay late here, but I've got to say that LLG, you are my all time favourite author!! I've read almost all of your books (except some of the older ones, still hunting for them), your books are my auto-buy. As for the other two ladies; GC and CL, I have both your books, they're on my shelves.... I promise to read them soon. Soooooo many books... so little time.